At Bay View Resort you’ll find much more than beautiful beaches and a variety of swimming pools. We have an extensive list of amenities that make it difficult to pack up and leave when it is time to check out. 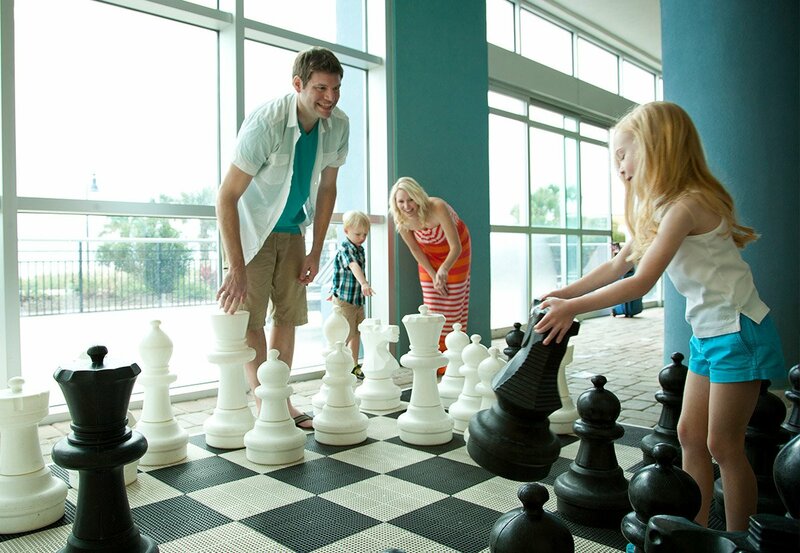 Our towers feature engaging activities for the entire family from a gorgeous lawn to giant chess and checkers games, there is not a minute to be spared from relaxation and entertainment. 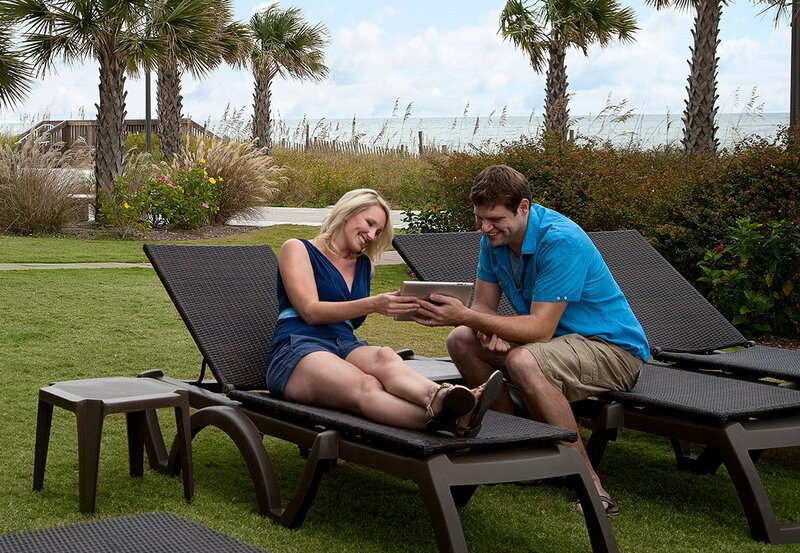 Soak up the sun on our verdant front lawn with oceanfront views and the Myrtle Beach Boardwalk just steps away, connecting the resort to a variety of bars and restaurants. Here you have comfortable lounging space for those who want to enjoy the sea without the sand. These over-sized game pieces keep all ages entertained. Kids get a kick out of pushing the huge checkers across the board, and chess lovers will enjoy this larger than life chess set. No glasses necessary! We won’t let you miss a workout just because you are on vacation. Well, unless you want to. 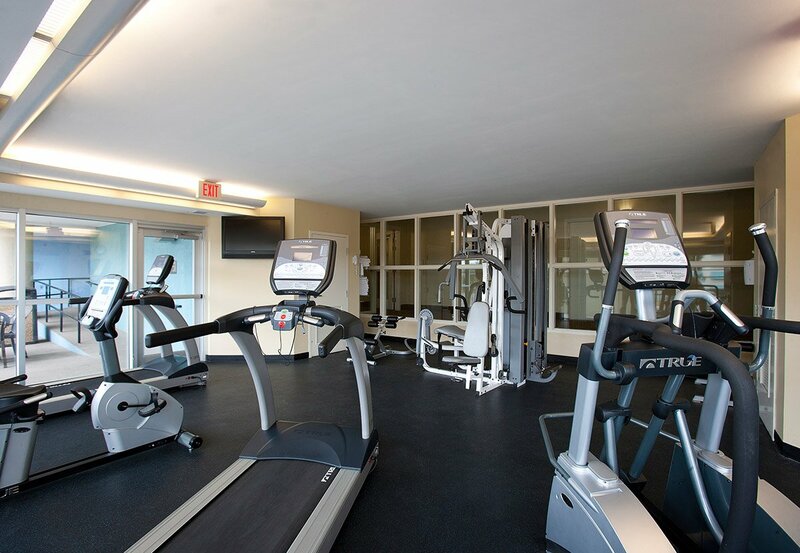 Our state of the art fitness room includes treadmills, stationary bikes and a multi-station gym. All with a city view of downtown Myrtle Beach. Valet service is now available to all guests for only $12 a day. That means more time for the beach.